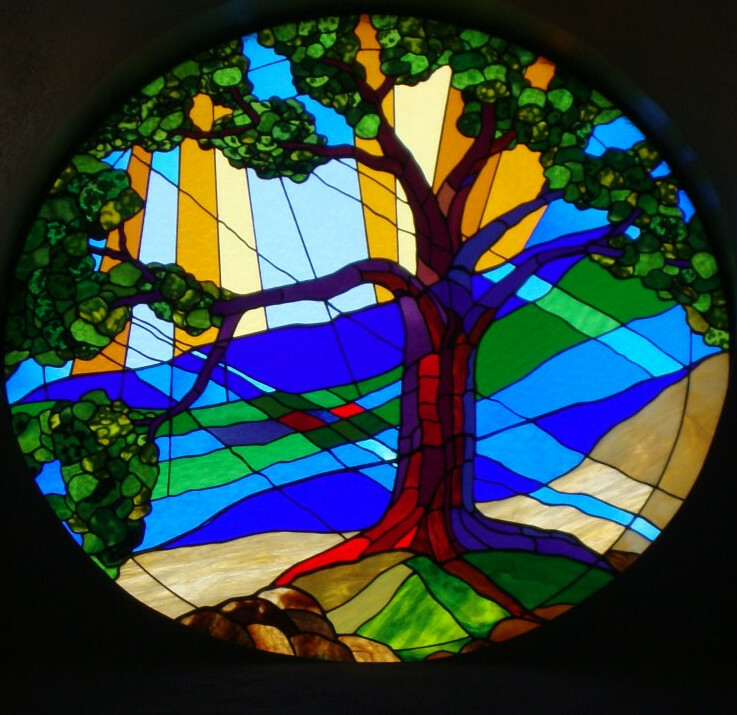 Have you ever wondered how CMC got its tree window and what the inspiration was? Jim Bishop dug into his archives to share this brief article, first published in the 2/7/91 issue of Mennonite Weekly Review (now Mennonite World Review). HARRISONBURG, VA – A stained-glass window installed Jan. 25, 1991 in the sanctuary at Community Mennonite Church is special for several reasons. First and foremost, the design is intended to convey something special about the church’s identity and purpose. Second, funds for the window were given by two former members of the congregation as an expression of appreciation for their time there. The donors were charter members at Community Mennonite when the church began in 1971 and attended there until 1987. Jay D. Kain, an art faculty member at James Madison University, was asked to create an artist’s proposal based on the “covenant statement” of the congregation and other information supplied by church members. Once the basic concept was approved, Kain fashioned the window at Shenandoah Glass Inc., a business he and his wife, Jean, operate part time in north Harrisonburg. He said it took “about six months” to take the project from concept to completion. Jim adds: The donors/charter members not named in the article are Larry and (the late) Marilyn Nolt. Learn more about art at CMC.